Nichebarn theme comes with an import and export feature so you can save and transfer your Customizer settings. It also has a reset feature so you can quickly delete your custom settings and restore default ones. 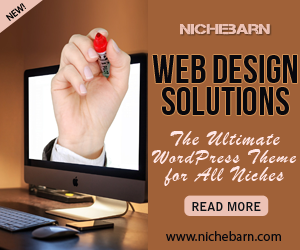 To access the Export/Import/Reset functions on your WordPress admin, simply hover your mouse over “Nichebarn” item menu then click on “Import/Export“. Export Nichebarn customizer settings to be used on another site. That site should be using the same theme. Import Nichebarn customizer settings that you previously saved from another site that uses the same theme. Deletate all custom customizer settings. Default Nichebarn theme settings will be restored.